Even if you already know marketing automation is essential, you still need to make the right platform selection. To do so, it’s critical that you understand the key marketing automation requirements your company needs. To help with your selection process, we’ve compiled a marketing automation checklist to make sure you have an understanding of all the necessary features and requirements. We’ve analyzed dozens of software selection projects. Here is a list of the most common requirements businesses have. Of all the functionality available within most platforms, lead nurturing is the most essential and powerful. This term refers to the process of developing relationships with buyers and customers throughout the sales funnel with the intention of creating a lifelong relationship. It focuses marketing efforts on understanding the needs of customers and aims to provide information and assistance they need. The ability to nurture leads based on a variety of attributes (behavior, demographics, buying stage) is a perfect compliment to lead generation programs and is a high priority amongst marketing departments and sales teams. One element of lead nurturing is lead filtering. Filtering leads sorts them by validity and prioritizes them by how likely they are to convert. This saves marketing teams time by directing them where to focus their efforts and increases the likelihood that you’ll contact the right leads at the right time, which makes you money! Most systems offer an automated program that classifies leads according to sales readiness. This feature will help you better understand the intent and behavior of your leads. All this culminates in improved customer retention rates. Marketing automation should provide structured campaigns tailored to each stage of the customer relationship. The goal is to influence future decisions and build a long-term partnership between you and your customers. We all know that CRM software has a long list of features. But what many people don’t know is that CRM and marketing automation were born to work together. Marketing automation features that integrate seamlessly with customer relationship management platforms make for a powerful combination. 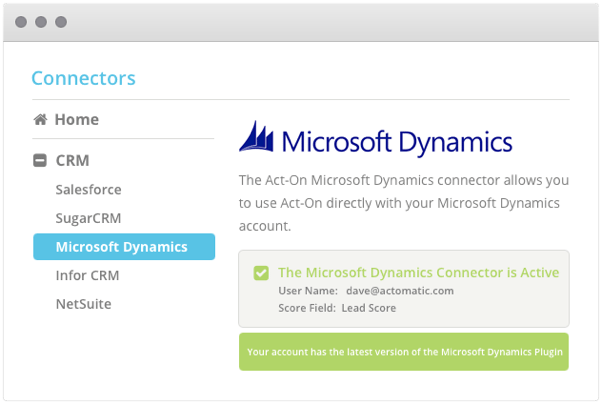 It’s easy to automatically sync custom objects and fields between the two with simple integration capabilities. Feed lead history and other crucial data to your CRM from your marketing automation software features and vice versa to keep prospect’s information in front of your teams. A new record is created every time a lead is generated and then assigned to a salesperson to follow up. Sales teams can pinpoint when that lead last visited your site, what they looked at and if they requested any other information. Your marketing efficiency will never be the same. Lead management is another fundamental feature of marketing automation. Moving leads through the entire marketing funnel, all while passing this information to and from your CRM, is a huge task and should be handled effectively by your MA solution. Capturing leads in order to generate marketing opportunities is another expected marketing automation capability. This capability allows users to convert anonymous website visitors into leads by customizing landing pages with capture forms to entice leads to enter their information. At the core of marketing automation are various marketing campaigns. Marketing campaigns can manage a range of campaign types across various channels. The goal is to send your customers the right information at the right time via the right channel to get them interested in your product or organization. Campaign management involves the planning, execution, tracking and analysis of these campaigns. Campaign management should include integrated campaign automation — this means that every step of the campaign takes place within the same interface and doesn’t require users to bounce around between systems. The ability to assign multiple assets to single campaigns is important for the same reasons. Marketers shouldn’t need to create multiple campaigns to promote different products; a marketing automation platform needs to be all-in-one. A great platform should let your sales and marketing teams work together like a well-oiled machine. It facilitates collaboration and communication to improve campaign execution and efficient opportunity management. Make sure campaign management within your platform supports both inbound marketing and outbound campaigns. Landing pages are what your customers see when they click on a link or advertisement. Marketing automation applications automatically forward lead details from these landing pages and other critical information to the sales team as soon as a prospect completes the information form. They are used for lead generation, and whatever actions a visitor takes on a landing page determines an advertisement’s conversion rate. They are often linked to social media, email campaigns and search engine campaigns. The goal of a landing page is to obtain leads, and a landing page should always include a call to action to get that visitor in contact with the company or facilitate a sale. Many platforms provide professionally designed templates for landing pages to efficiently reuse content and streamline the creation process. While some organizations may choose to utilize landing page builder services independently or within a content management system, many marketing automation systems have excellent landing page builders. If this is a requirement of yours, make sure you select a landing page builder that isn’t just flexible and easy to use, but also mobile-friendly. Email marketing is a very valuable channel for marketing campaigns. It includes activities like sending emails to enhance customer relationships, acquire new customers, distribute advertisements and make sales. Tracking these campaigns can provide ROI information, as well as track visitor engagement and other customer data. Email marketing allows marketers to interact with consumers by providing personalized messages that are more likely to create engagement and promote customer retention. Messages are personalized by monitoring user activity on landing pages, and messages can be pre-scheduled for follow-up at the perfect time. When you are selecting marketing automation, you are likely upgrading from your current and more traditional email marketing platform. Make sure your new MAP has a majority (if not all) of the functionality you use regularly in your existing email marketing platform. Social media marketing is an ever-expanding tool for marketers in the modern age. It involves the use of social media platforms to promote a product or service. Companies can engage with a range of stakeholders through social media marketing, including current and potential customers, current and potential employees, journalists, bloggers, and the general public. This broad scope is ideal for marketing campaign pools to draw data and leads from. The platform you select should either have built-in social media marketing and management tools or seamlessly integrate with one of the many social media marketing tools out there. Users can share content instantly across social networks to build engagement and generate new leads. A marketing automation solution allows this content to be generated, scheduled and analyzed from the same platform. Lead scoring is often a sought after but challenging functionality to master in marketing automation. It is the process of ranking prospects against various scales and metrics to determine their perceived value to your organization. This helps prioritize which leads to focus on, and in what order. It does this by allowing users to utilize customizable qualifiers. This feature lets users determine what stage of the buying cycle prospects are in and target them accordingly. This function allows organizations to gather data about the types of customers they are attracting and the behavior of those customers to improve their experience with the company. Some benefits of lead scoring capabilities are: increased sales efficiency, workflow optimization, improved marketing and sales team effectiveness, tighter sales and marketing alignment, and an overall increase in revenue. Lead scoring should come out of the box of any good platform as it can make a huge difference to your lead management process when set-up correctly. Long before marketing automation platforms became a suite of features, visitor tracking was one of the original functions. This allows users to identify companies by IP, then to further identify individuals’ activities on your site was a common practice then and now. Visitor tracking is an element of web analytics and involves the analysis of visitor behavior on a website or landing page. The goal of this analysis is to provide individual visitors with unique options or content related to the preferences they have been displaying either while they are still on the website or in the future. Visitor tracking should be not only standard within your marketing automation software, but you should also be able to segment your database upon those tracked activities. 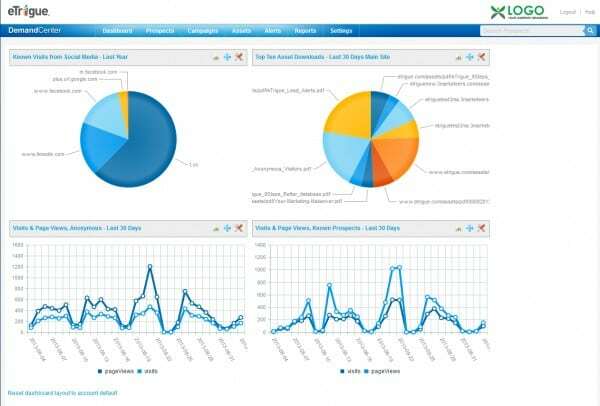 Business intelligence tools like reporting and analytics are crucial to any business. Business intelligence (BI) is a process for collecting and analyzing data, then presenting that data in actionable visualizations. The goal of BI is to help managers be more informed and make data-driven decisions. It may seem obvious that your marketing automation caneeds quality reporting and analytics. But surprisingly, there are some that lack the robust and detailed reporting modern day marketing teams require. Make sure to verify the specific reporting capabilities of a marketing automation solution before you purchase. Integration with AdWords is very useful for better calculating ROI on your PPC spend. If AdWords is core to your marketing efforts, pick a platform that has a decent integration with it. Marketing automation tools should allow users to go beyond simple cost-per-click reporting available from Google AdWords. They can highlight marketers’ ability to leverage known visitor data and anonymous visitor data captured during every AdWords-generated website visit. Having a platform that is available via mobile devices is a huge plus in today’s modern, mobile world. Sales people on the go want real-time alerts. Marketers working on tablets in coffee shops want to be able to manage their campaigns. They should be able to expect that kind of flexibility, and marketing automation vendors are catering to it. Most marketing automation software offers native mobile apps or mobile browser-accessible versions of their service to allow users to unchain themselves from the desktop. You’ve got some options for deployment that can impact your data security: on-premise or in the cloud. While cloud-based has generally been seen as a less-secure option for software, that fact is changing as security technology progresses. Almost all of the contemporary and most popular solutions are cloud-based only, so be prepared for limitations within your deployment environment options. That was a quick and dirty rundown of every feature you should look for in your marketing automation software requirements search, but it’s far from everything you need to know. Check out our comparison report to learn more about individual vendors and what they offer. Is this marketing automation features list helpful? Are there any features you’d expect from a marketing automation platform that you don’t see represented here? Let us know in the comments! As I am into b2b business and wanted to know a lot of advantages of marketing automation, hence I found the article useful. As it contains the most common requirements businesses have. I heard about Aritic PinPoint and hence I thought of trying it for my business, which proved beneficial. Thanks a lot for sharing the information.